Visit our bakery through most of June for strawberry season! The exact length of the season is up to nature, so hurry in! You can also watch our Facebook page or sign up for email to receive updates. 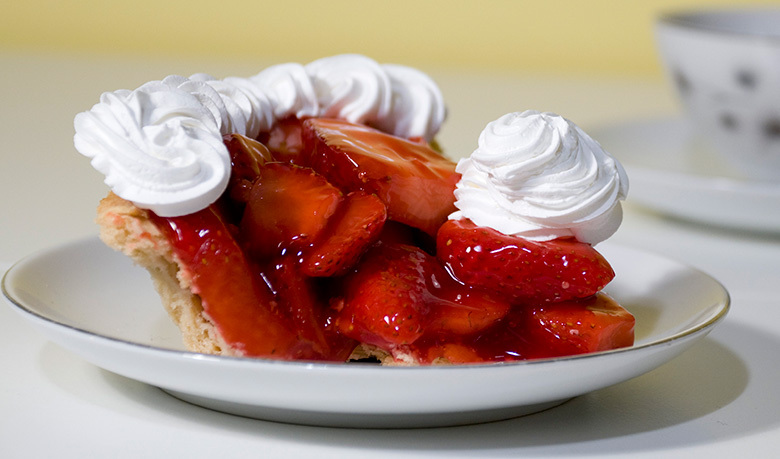 We'll have strawberry donuts, strawberry bread, and our famous strawberry whipped pies, all made with freshly picked strawberries from Johnson's, right next door. During the Johnson's Strawberry Madness Festival days (every weekend from 6/9 - 6/24), we'll also be serving strawberry pancake breakfasts from 8am - 10am. Join us for pancakes with strawberries・stuffed French toast with strawberries・biscuits and gravy・yogurt-granola parfaits・bacon egg and cheese croissants.